It's beginning to look a lot like love . . .
As her thirtieth birthday approaches, Deputy Jill Flaherty decides it's time to live a little. When she walks into Sawyer Anderson's bar in her sexiest dress, she's not thinking that he's her brother's best friend or about the many women he dated during his years as a pro hockey player. All she's thinking is that it's finally time to confess to her longtime crush how she truly feels. Sawyer is done being a player on and off the ice. 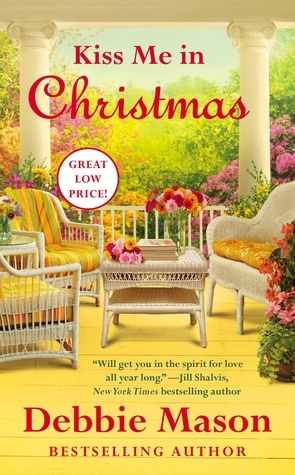 Yet no one in the small town of Christmas seems to believe he's ready to settle down, not Jill, and certainly not Jack, who is determined to keep Sawyer from breaking his little sister's heart. But as Sawyer and Jill's relationship heats up, can he prove that he's her happy ever after? 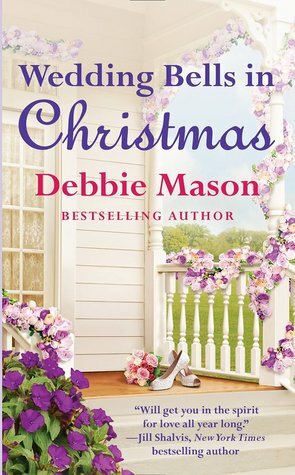 Debbie Mason is USA Today bestselling author of the Christmas, Colorado series. Her books have been praised for their "likable characters, clever dialogue and juicy plots" (RT Book Reviews). She also writes historical paranormals as Debbie Mazzuca. Her MacLeod series has received several nominations for best paranormal as well as a Holt Medallion Award of Merit. When she isn't writing or reading, Debbie enjoys spending time with her very own real-life hero, their four wonderful children, an adorable grandbaby, and a yappy Yorkie named Bella. "I didn't write, prove to Sawyer I'm perfect for him on my get-a-life list, Suze. I wrote, ask him out." Saying it out loud caused Jill's stomach to heave. But the more time she'd spent on the list, the more obvious it became that she really had put her life on hold. "Maybe you should have, because you are. He just doesn't know it yet. And you know why he doesn't, Jill?" the fortysomething dispatcher asked. "No, but I'm sure you're going to tell me." An hour later, Jill was showing Sawyer her backside. Her heavily padded backside. It was the second half of the third period, and she'd taken a hit from one of the opposing players that sent her flying into the air and onto her knees. "I give her a four. What about you, buddy?" her brother said from where he leaned over the boards with Sawyer looking down at her. "She did a perfect one-eighty and got great height, but she blew the landing. So yeah, I'd have to give her a four. You know what, we're winning, and I'm feeling generous. I'll give her a four-point-two," Sawyer said. "Bite me," Jill said as she pushed off the ice and got to her feet without looking at them. "What's that, Shortstop?" Sawyer asked, not bothering to hide his amusement. She turned and lifted her stick at the electronic scoreboard, ignoring his use of her childhood nickname. She was already mad enough. They'd been teasing her relentlessly throughout the entire game. "You might want to take a picture of the score. You won't be winning for much longer," she said, then skated to where the ref waited for her to get into position. Some people considered the Flaherty temper a character flaw. At times, so did Jill, but right now she took advantage of that rush of adrenalin and temper. As soon as the ref dropped the puck, she was on it. What she lacked in finesse, she made up with grit and determination as she skated up the ice toward the goalie. She faked out the right defenseman--it wasn't that hard. The third line on Sawyer's team wasn't that good, and the reason Jill's team was two goals away from tying the game. "Jill," Brad called out, tapping his stick on the ice. The auburn-haired and blue-eyed cutie was wide open. But he'd already scored twice. As both defensemen skated toward her, Jill eyed the net the same way she eyed the target at the shooting range. At the top of the hash mark, she wound up, took her shot and . . . scored. She glanced at her brother and Sawyer. As if all their athletic coaching over the years had paid off, the two of them wore proud grins. She wouldn't be surprised if they'd patted each other on the back when she scored. But they weren't looking so proud or happy when she scored three minutes later. Thanks for a chance to win a gift card...this book sounds good. Love this series. I'd love to live in a town like Christmas. :) Thanks for the opportunity to win a GC. 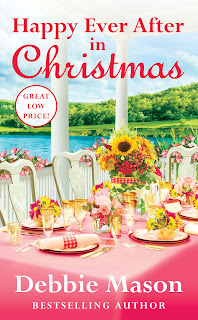 Thank you so much for featuring HEA IN CHRISTMAS! Christmas sounds like a nice place to live. I love the Christmas series! 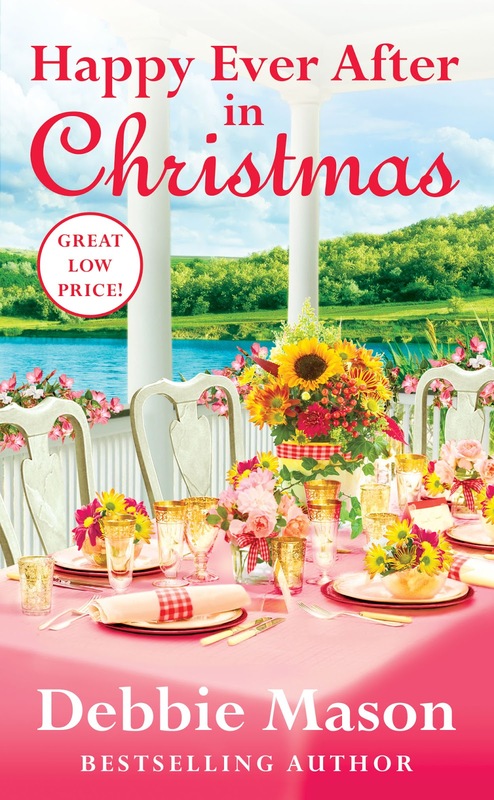 I have read Debbie's books and thoroughly enjoy her sense of humor, character development, and description of the setting. This one should be another one to enjoy.